Can you survive the waves of Headcrabs? 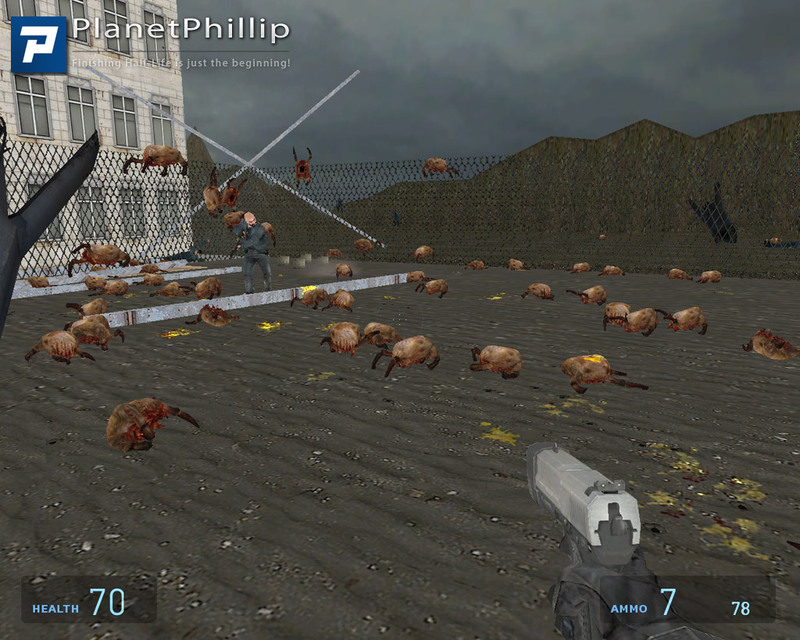 It’s a one-area map with a few hundred headcrabs. Fear not! Father Grigori is there to help. 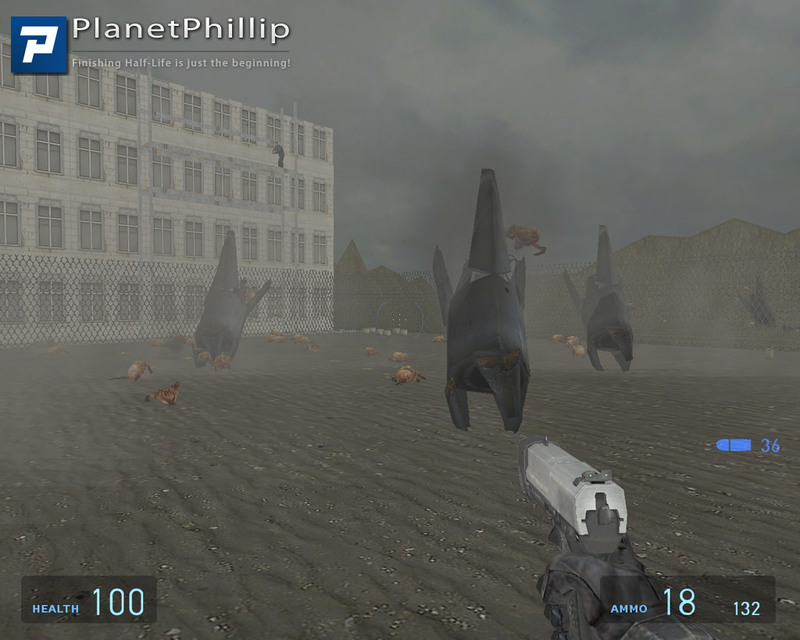 Copy headcrab_panic.bsp into your Half-Life 2 Maps folder. Open the console and type map headcrab_panic. I had more fun than I thought I would with this simple map. 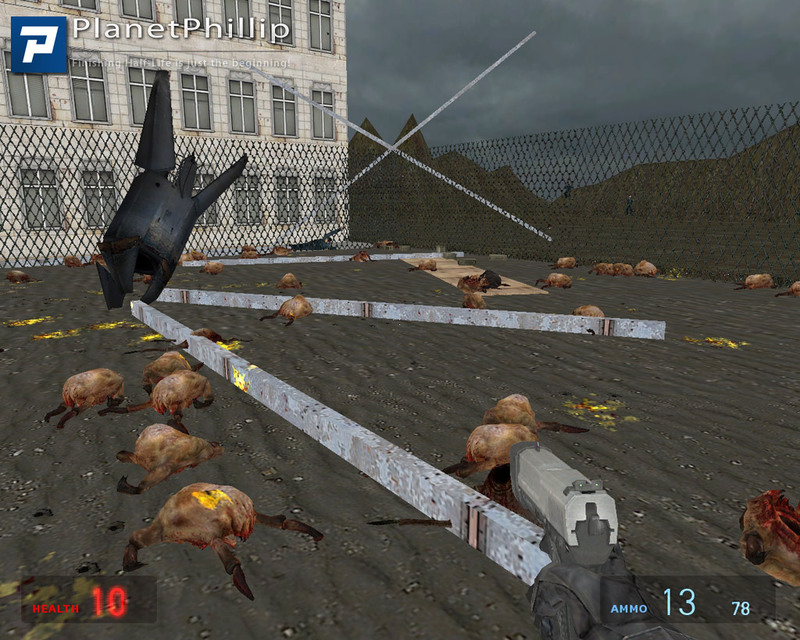 It does end, so keep going, although there isn’t really a proper ending , the headcrabs just stop arriving and the screen goes black. 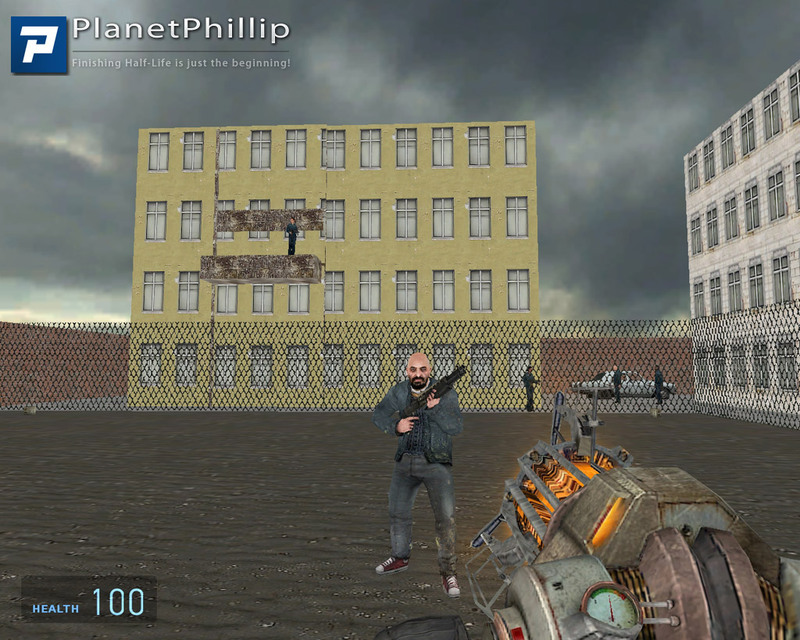 I just wish I had a variety of weapons rather than the pistol, gravity gun and crowbar. Headcrabs galore, who wants more? If you want to just have non-stop fun dl it. I wish this was endless but then the head crab canisters would start stacking. I didn’t think I’d have much fun with just a gravity gun so cheated in a super charged one. 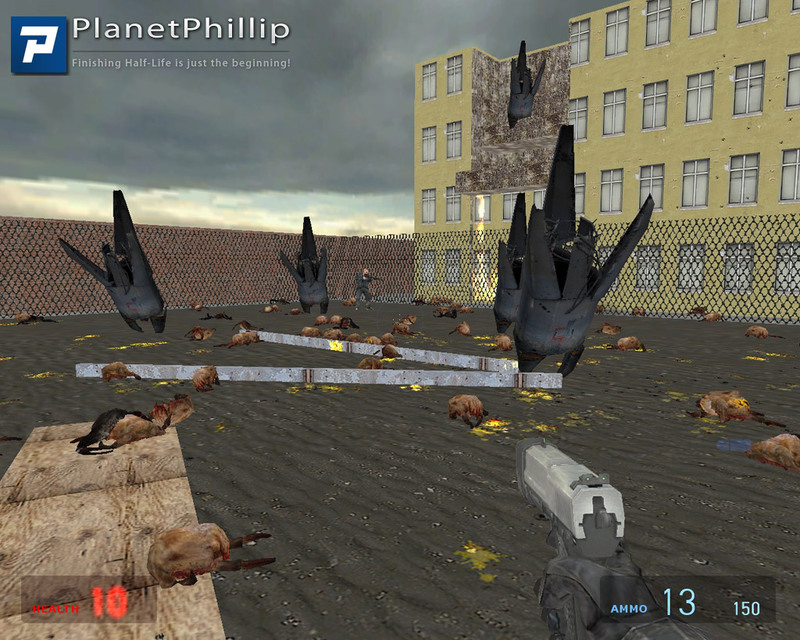 It was very fun shooting head crabs at head crabs. Very small map, visuals aren’t great and the gameplay isn’t stellar. Though one has to take into account this map was fabricated when HL2 was just released, and making maps for HL2 was a fairly new thing. It is challenging coping with the large amounts of Headcrabs but it is possible to win. All in all: not great, not bad. 5,5 out of 10 and a ‘Maybe’.